Dang! Believe me or not, I didn't know about the existence of Klang Parade shopping mall, though it's only approximately 30minutes away from the place am staying at now. Yours truly was invited to join the blogger walk-through at the respective mall last weekend, I just can't say no to any-chance-for-myself-to-shop. 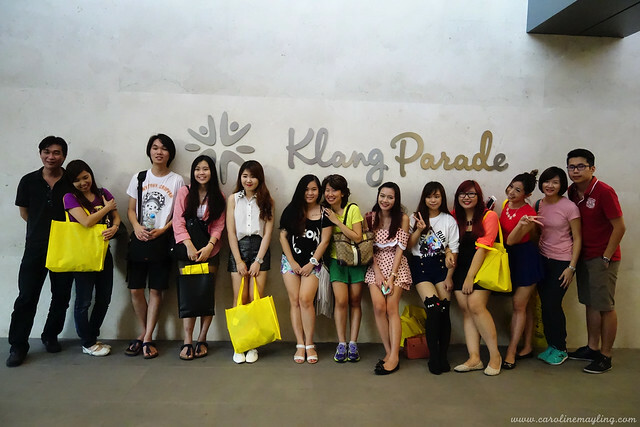 We were briefed by sweet Christina and began the mini excursion in Klang Parade with the fun and bubbly "tour guide" :p Apparently, the mall was closed for a period of time and refurbished and re-launched again! 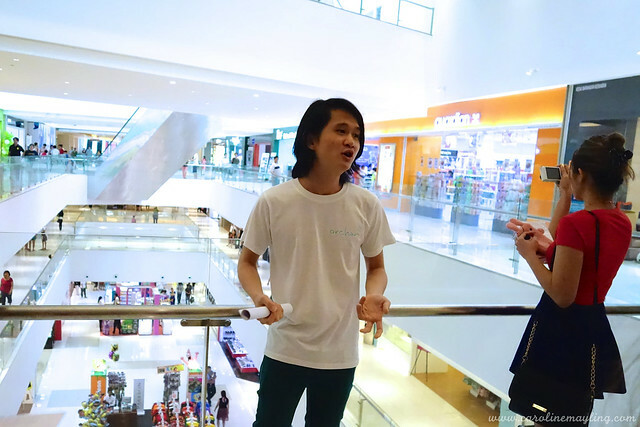 We get to know more about the mall and tenants in the mall. 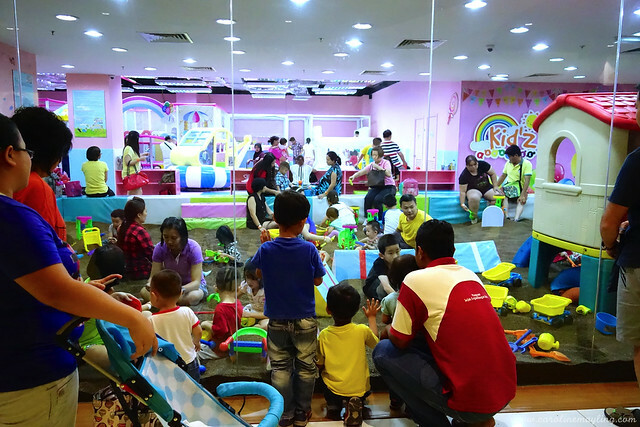 The kids play zone in the mall is pretty huge and awesome! 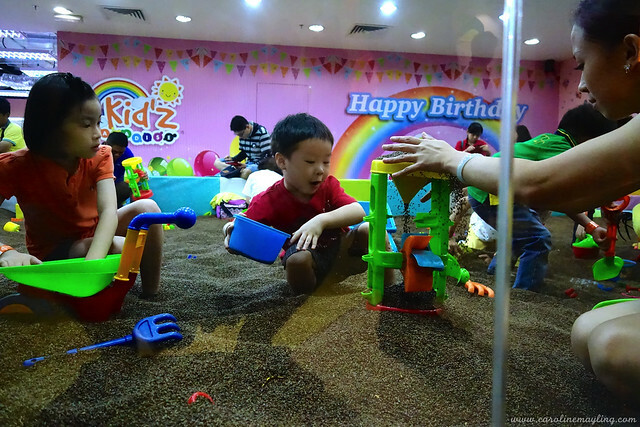 There's a section of a mini beach-like area where the kids get to build their sand castle there. 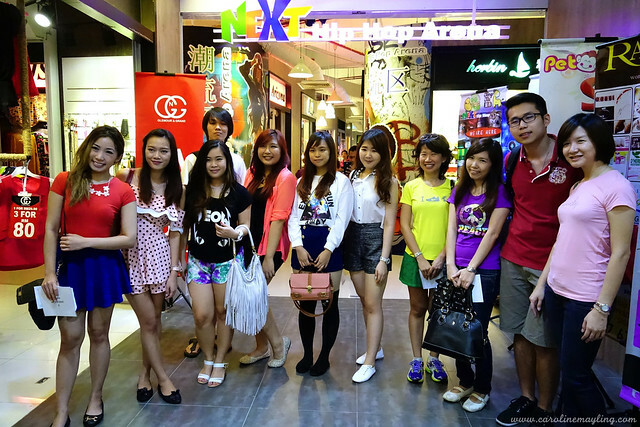 Our first stop was at the Next Hip Hop Arena, which is like a mini Asian Avenue in Sunway pyramid to me. This is where you get to shop fancy and trendy outfit to suit any style you wish. Little did we know that we had to choose an envelope that contains a picture of a celebrity in their outfit, and we had to find the similar outfit that matches it within 15-minute. Well, I would say it's pretty fun, but 15minutes seemed to rush to do the outfit hunting. We were all dressed in the outfit to be judged and the winner won the entire outfit that he/she got. We were then continued with the mini excursion to another floor and headed to our next stop. 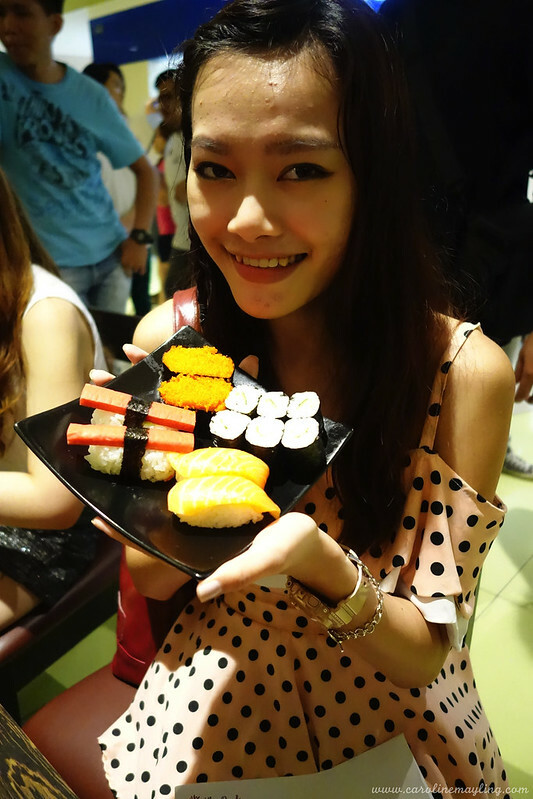 The next stop was at a Japanese restaurant called Don Kaiten, which is also the only Japanese restaurant in Klang Parade. 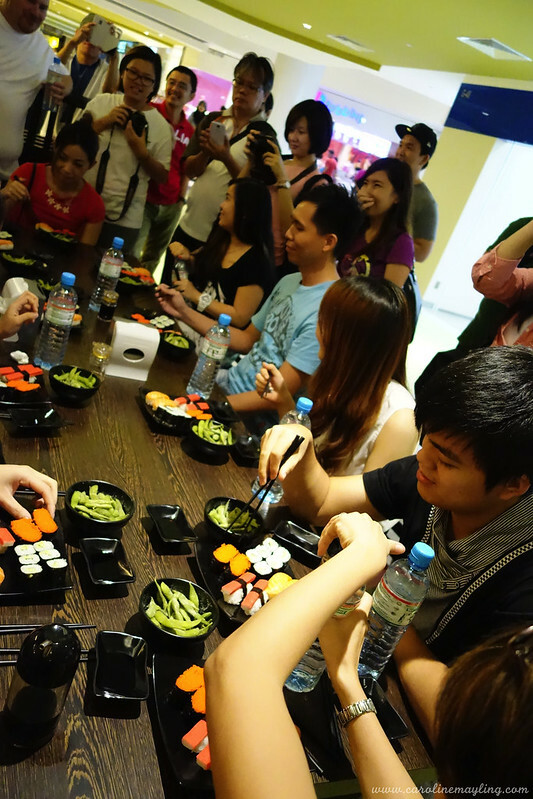 You could see the happy face of us when we see a table full with Japanese foods upon arriving. To our surprise, we had to compete with each other to win yet another contest! 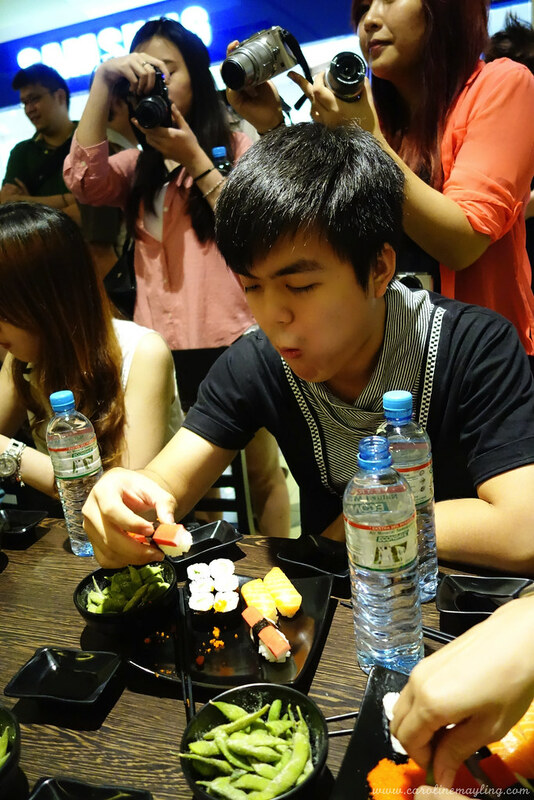 Boy, eating Japanese food is great, but not when the entire sushis on the table were filled with wasabi paste. 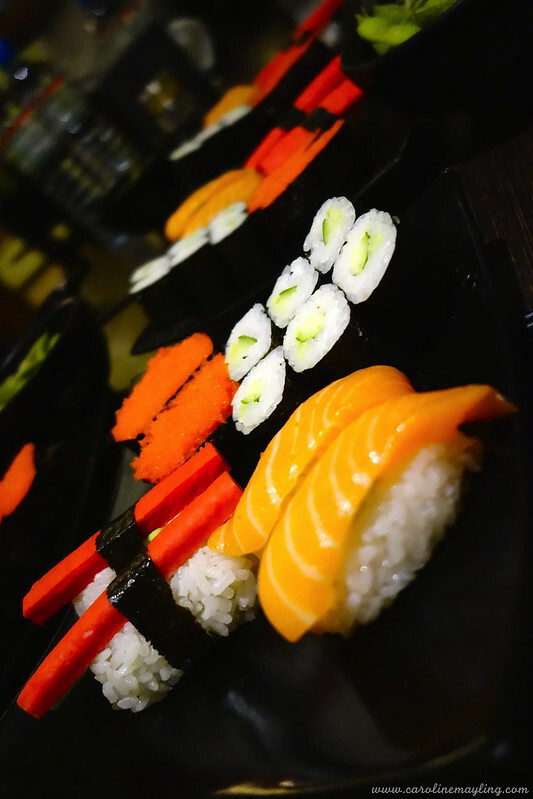 The first 3 to finish the entire plate of sushi and edamame gets to win the food voucher from the Don Kaiten Japanese restaurant. 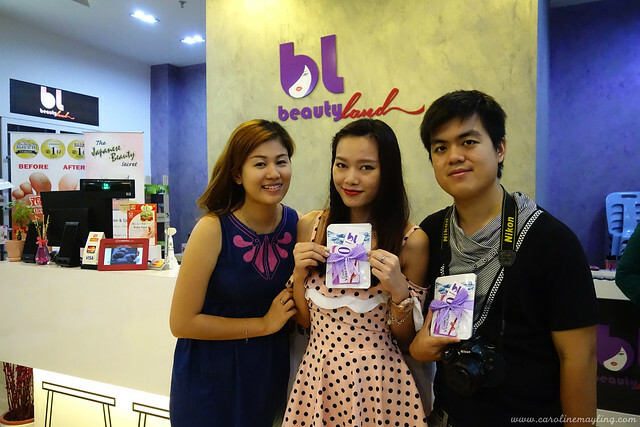 After the mini eating competition, we were then off to the Beauty Land for a mini pamper session! 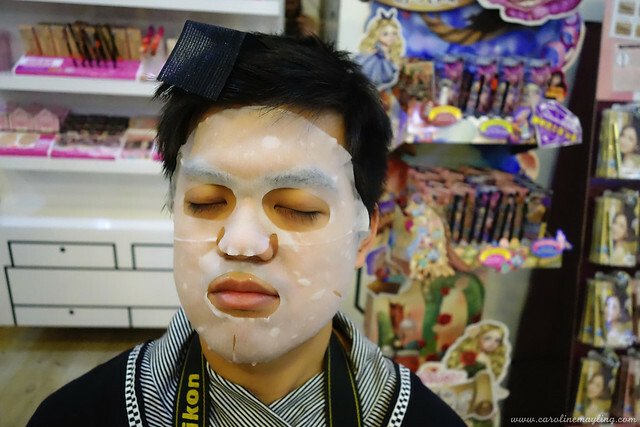 Our partner gets to enjoy the refreshing mask session and us girls also gets to play with the red lipstick! 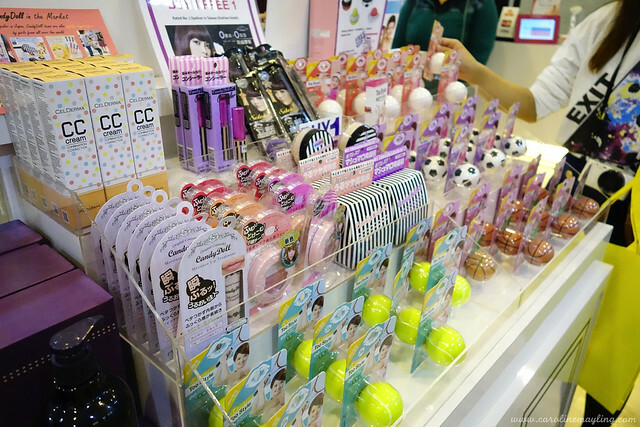 And of course, some other awesome beauty products in the shop too. We pretty much have walked through the entire mall except the last stop - Econsave. Finally, the very last contest - grocery shopping contest! 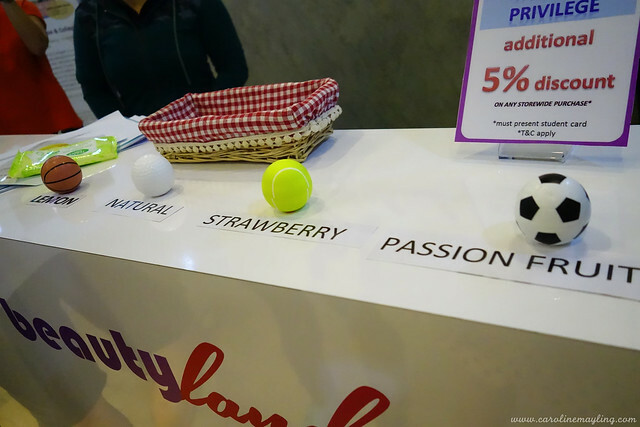 Again, we had to work together with our partner and this require teamwork and calculator as we had to find all the items in the list given as well as shop for the extras without exceeding RM100. 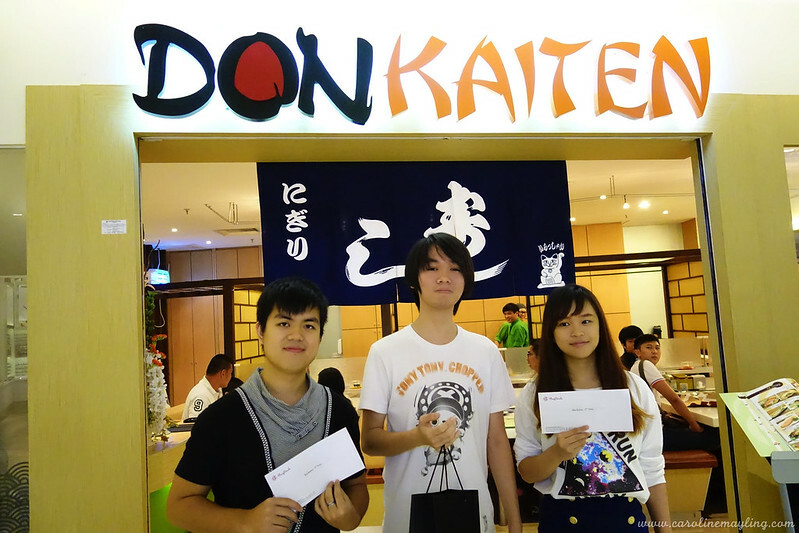 The first 3 winners won themselves with Econsave vouchers to enjoy their next shopping. And that's the wrap for the day! 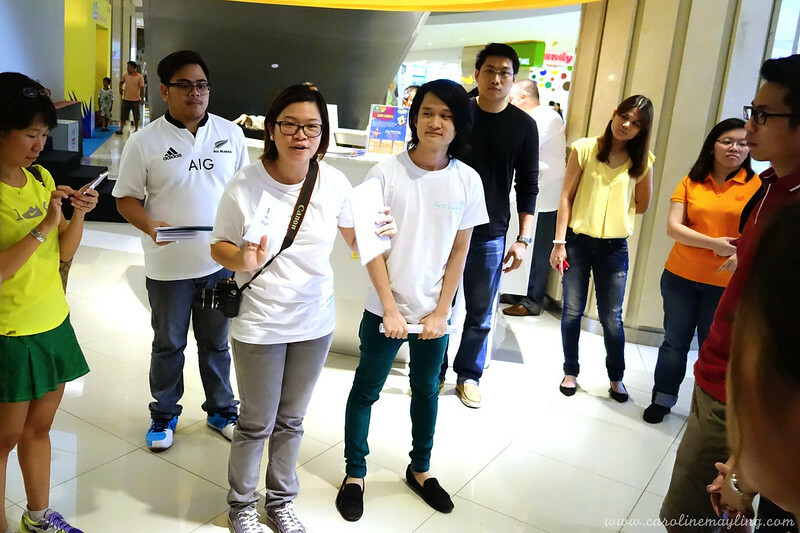 It was tiring yet fun day with the rest of the bloggers.